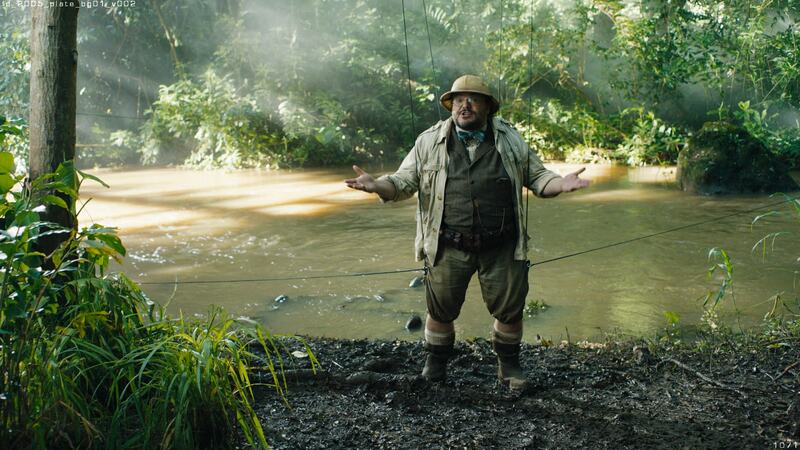 In the highly successful Jumanji: Welcome to the Jungle, the tables are turned as four teenagers in detention are sucked into the world of Jumanji. The teenagers discover an old video game console with a game they’ve never heard of. They are immediately thrust into the game’s jungle setting and into the bodies of their avatars, played by Dwayne Johnson, Jack Black, Kevin Hart, and Karen Gillan. Jerome Chen was the production visual effects supervisor but unusually Sony Pictures Imageworks were not the lead facility. Due to "scheduling and capacity they couldn't do the work" Chen explained. Chen was involved from the very start of production in June 2016. 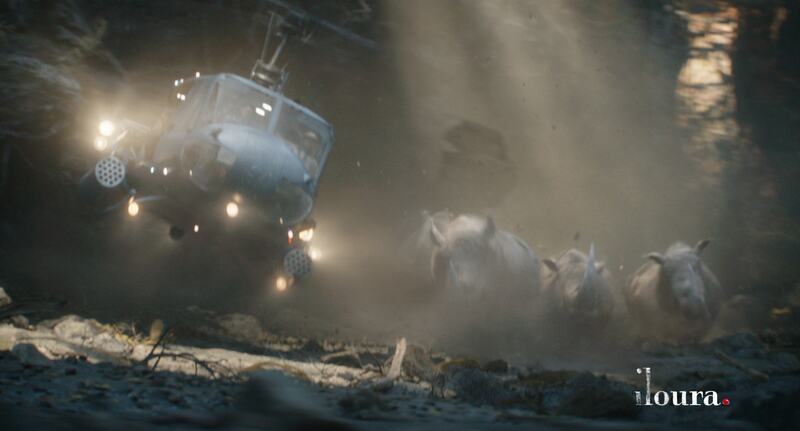 When preproduction first started the team began with the Rhino charge sequence, which would end up months later being handled by Illoura. Chen described the Director, Jake Kasdan as "Hollywood royalty, given his father" (Lawrence Kasdan : Big Chill, Star Wars etc). "Jake has inherited an instinctive understanding of how to manage tone and really keep things simple for story telling and have that apply to the effects. In terms of what we saw this summer, this film does not have a ton of CG sequences but the ones that are in the film really tell the story and I really admire that", states Chen. "He is really collaborative, he likes to really talk through each sequence - and he likes to talk through it very carefully, and I really enjoyed that". Iloura did 325 shots including the hero rhino chase, MPC did 160 shots, focused on animals and in the third act Rodeo did about 100 shots. There were just over 1000 shots, but many of the remaining shots were simple comp and fix up shots. The studio extended the post period for the film by moving the release date. "We were originally meant to come out last summer, ... but right before we finished shooting [the Studio] extended to a Winter Christmas release, and that is a lot of extra months, so there was quite a lot of shuffling to make sure the big three anchor companies could extend their crews by three or four extra months" explained Chen "Luckily internally they could reshuffle, .. but that extension was a big deal. On one side I got more time, but on the other it turned out to be a huge logistical issue". 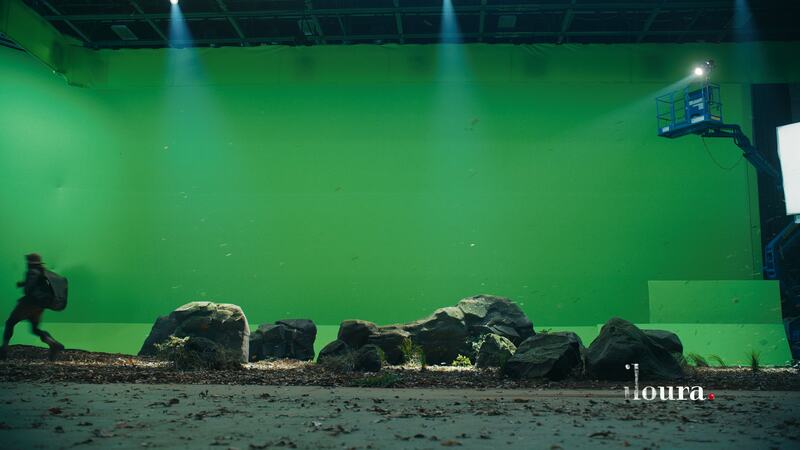 The film's creatures and animals were always critical to the initial planning and even through the shoot took place in Hawaii, a lot of environment work was required. "Shooting in Hawaii, we had to make sure that we covered any aspect of water in any of the scenes, so we had to do a lot of mountain extensions" As water makes the viewer believe that escape is possible. 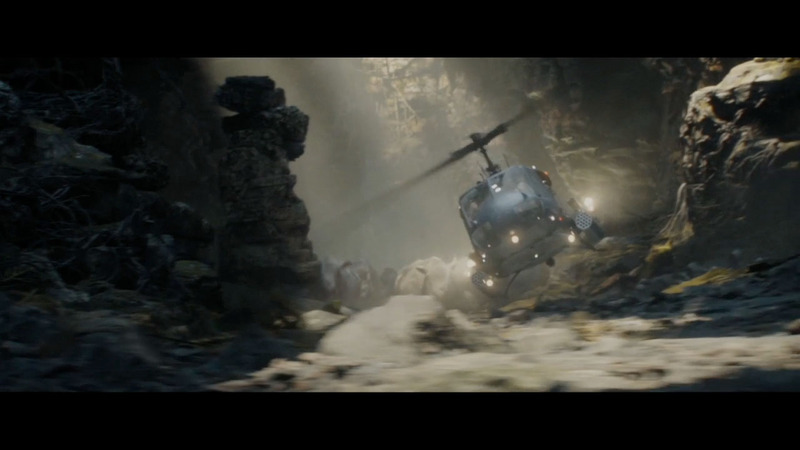 In addition to this, for the Rhino sequence the heros in a helicopter had to cover a lot of distance, "much more than we could shoot practically, so there was always going to be a lot of environment work -plus we didn't want it to look like Hawaii, as some of these locations were common to other movies like Jurassic World and even King Kong". The transition into the game was designed as a nod to the original film, where the characters were stretched into the game. The team needed to create a whole volume for our heroes to avoid it looking like a 2D effect. The team added an internal energy particle/glow and then transitioned to green as the signal leaves the body and enters the game. While the sequence of being sucked into the game is played out in ful, at the end of the game repeating all the effects at the same speed would have slowed the film down. To address this various tricks were used in editing and effects to have their game exit similar in feel but actually use less screen time. The formula or how the effect would look also needed to change as the original was shot in a dark store room and the final exit occurs in a high sun exterior. 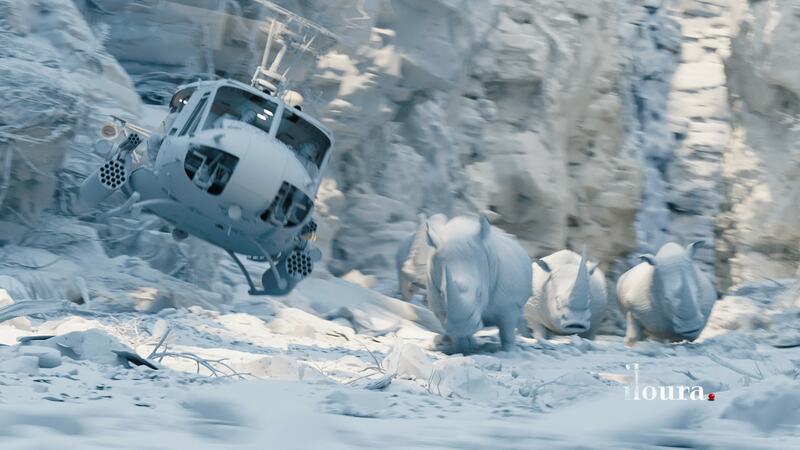 Chen was always going to be focused on the Rhino chopper chase, the scene was complex as the environment work needed to match complex animal animation and sell the concept that Rhino's could run nearly as fast as a helicopter. He awarded the work to Illoura at least in part on their "canyon work in Mad Max and their animal work in Game of Thrones". The chase was heavily CG due to the animals and the vast distances that the chase covers. This meant both filming the actor's on green screen and doing digital doubles. "It turned out that the Rhinos were seamless. Glenn Melenhorst and the team did a fantastic job and just knocked it out of the park" commented Chen. The animals were required to move both as a herd and in very deliberate specific ways, doing all of this at speed and still look natural. " I think that sequence came up really well". 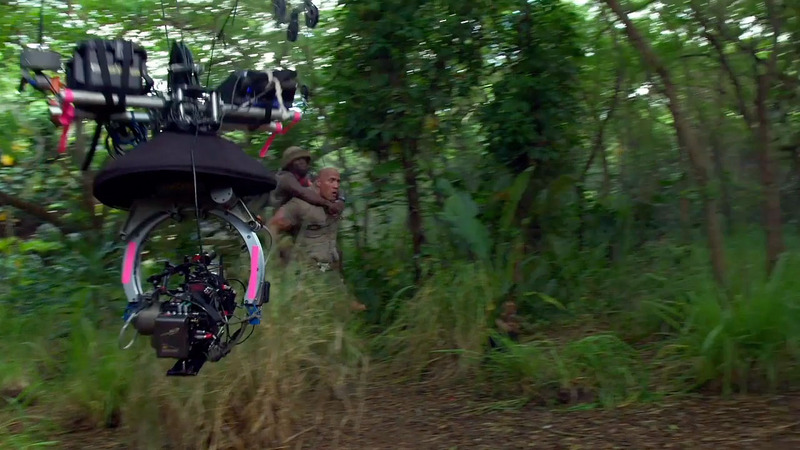 The film used drone footage, but as the path and story points changed in post, most of that footage was only used as reference and the majority of the chase showed a fully digital environment. "We had to design a lot of the flying stuff, and all the flying in the canon was done synthetically. Only one shot flying from the transportation hut is drone footage but all the other photography is CG by Iloura" comments Chen. On the Rhino chase sequence the cast were digitally doubled for the wider shots of the chopper in the chase, but the actual cast was also filmed in a shell of a chopper for the close up shots. Chen had a series of discussions with Iloura's Glenn Melenhorst about the Rhino charge. Iloura warned Chen repeatedly that the helicopter is flying at about 300 miles an hour and the rhinos are therefore also running at that speed. "He kept saying it was really hard to get them looking natural as they ran, ...so any change in the animation would be disastrous. Anytime I would ask for them to be a little bit faster he would say - 'No they are already going 300 miles an hour - it will look ridiculous' !" Chen laughingly recalls. 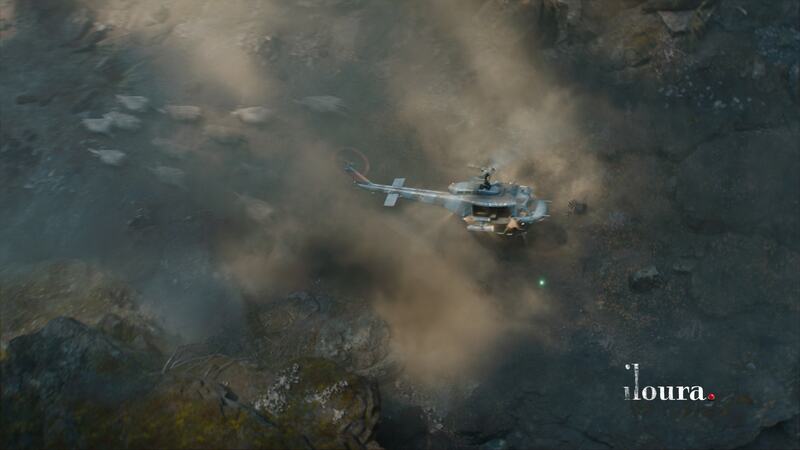 The chopper was on a gimble in the studio and the production worked hard to make sure the lighting would match the digital environment, "the CG lighting of the whole canyon sequence took 6 or 7 months to do, at Iloura, it was definitely one of the hardest parts of making the shot come together" Chen told us. The DOP came up with a lighting setup that would allow the production to shoot quickly on set, "but it didn't really work when we cut to the wide CG shots, so there was a lot of adjusting and adding fake light shafts, with over exposed moments to tie it all together" Chen added. Chen enthused that Glenn did a "fantastic job". 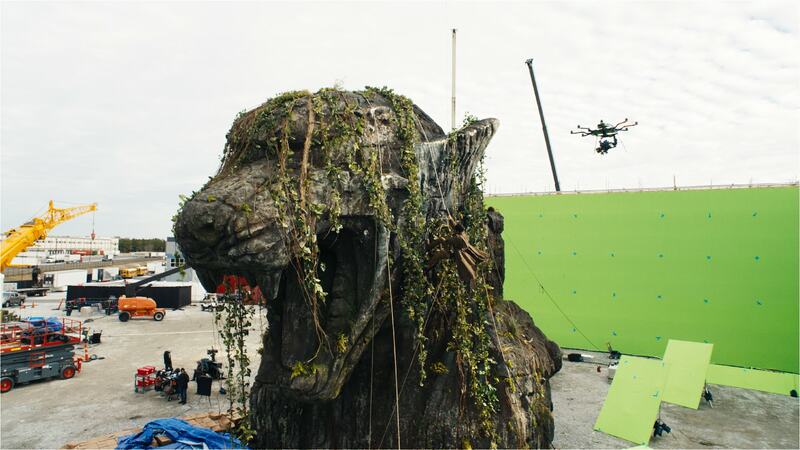 Led by MPC VFX Supervisor Bob Winter worked closely with director Jake Kasden and overall VFX Supervisor Jerome Chen. Having seen the work that MPC had done in the Jungle Book, "I didn't have any concerns about the jaguars going in", commented Chen. 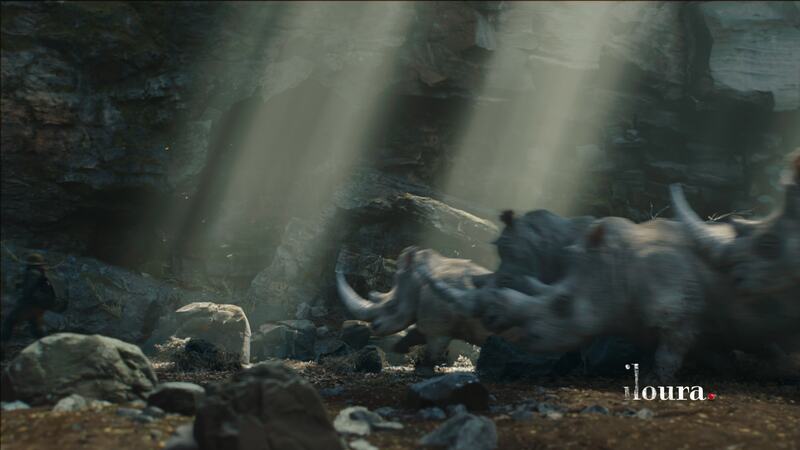 MPC’s VFX team completed 160 shots for Jumanji, and were awarded the show based on their very strong depth in animal animation. "The animals from MPC were the hardest to get right" Chen comments, not because of the animation, but the lighting issues of reading these animals at night". Bob Winter, MPC VFX Supervisor calls this film "the smallest big show I have ever worked on, as every shot was complex on many levels". 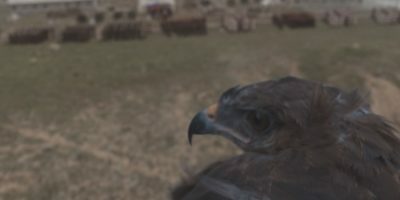 Their work was primarily the animals but also the flash back curse sequence and then primarily the third act which takes place at the final level of the game. 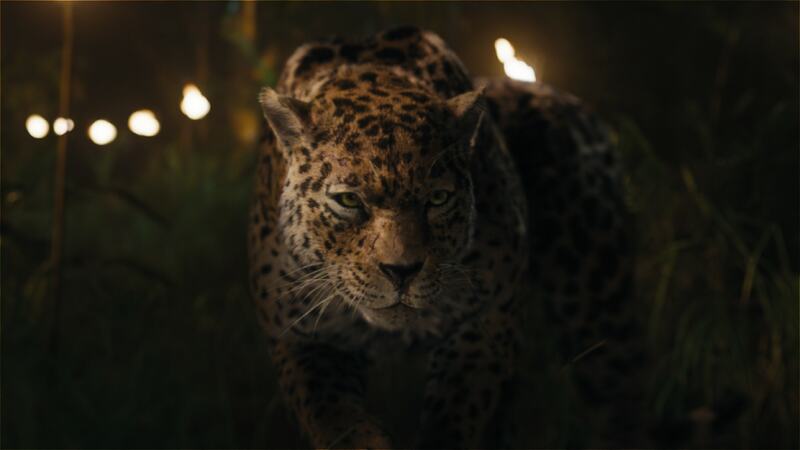 The team’s work involved creating jungle animals including Jaguars, an Elephant, Black Mambas and a swarm of insects; digital doubles for Spencer, Martha and Fridge and CG environments for the film's main set piece. For the jaguars, (above) on set stunt men dressed in black interacted with the actors by jumping on them and knocking them over. They also used stuffed big cat plushies to give the actors the right eye line. Using reference photography of jaguars MPC’s team then crafted the cats from bone to whisker, and replaced the stuntmen. The work was done via MPC Montreal. The imagery was shot on the Alexa and then transcoded into the MPC OpenEXR pipeline. "We basically worked in our typical colour pipeline, our worlds (Environments) were creatd in Maya,.. 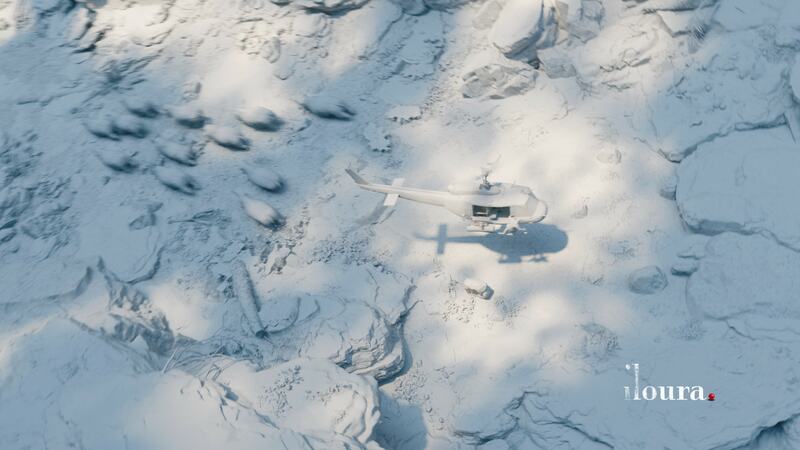 There was a Houdini/Maya effect pipeline into Katana and rendered in RenderMan and comped in Nuke", Winter explains. While the film had a Dolby Vision finish, the pipeline was the standard lossless approach, but "where it actually found itself being important in the process was in the DI. We'd get notes from the DI (during final turnover) saying 'can we get more range in this area', which was only needed for the final mastering, which I thought was interesting. I think we did that more on this show than any other I have been involved with to date". Due to the HDR Dolby Vision master, all the final approvals were made in a DI suite, where the full extended range could be viewed. The team’s solution was to divide the den into smaller groups. MPC’s animators were then able to use keyframe animation to create the complex motion and interaction of the snakes within each pod, which was then fed into a crowd system to add variation and higher level swarm behavior. While MPC used its crowd system on the snakes, the end solution was a hybrid, every agent had a group called a pod and this was then instanced, as a straight crowd solution did not work well with the snakes long body and movement. "That was definitely something that was a challenge and unique in terms of an approach" he adds. 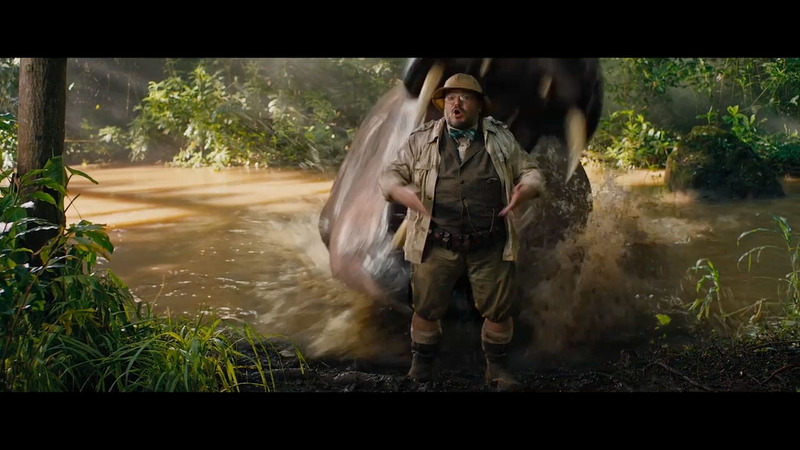 For a scene where Fridge rides in on an elephant, MPC were given plate shots of actor Kevin Hart riding a specially rigged all terrain vehicle. 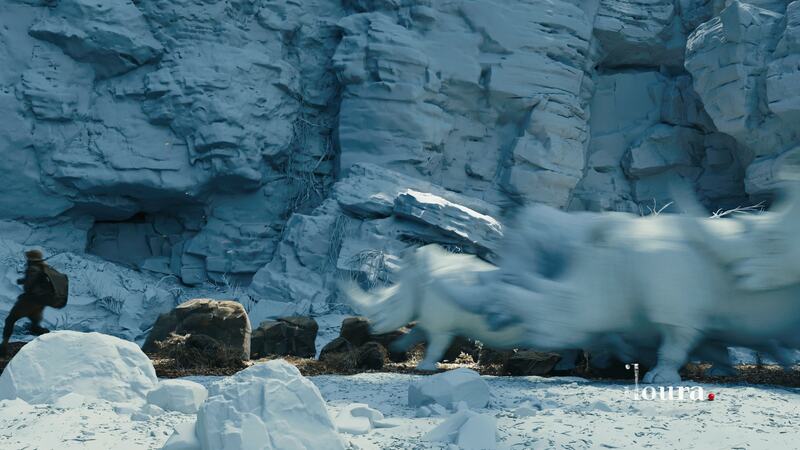 The vehicle (above) was then removed in post and MPC’s team added their full CG elephant which was created based on reference photography and video of African elephants. Winter and the MPC team also faced complex problems of interaction between the animals and vegetation. "Any time you see vegetation move it was a CG plant. The terrain and plants that were stationery... were done with photogrammetry but all the other vegetation was done in CG, as it allows the plants to play a more specific role interacting in the scene". In the film’s final act Spencer rides a dirt bike up a huge 200ft jaguar statue in the jungle. This was a late edition. In the first cut, Spencer surprised everyone by just appearing at the top of the statue, but this confused audiences so a sequence was added to ride up to the top on a motorbike. 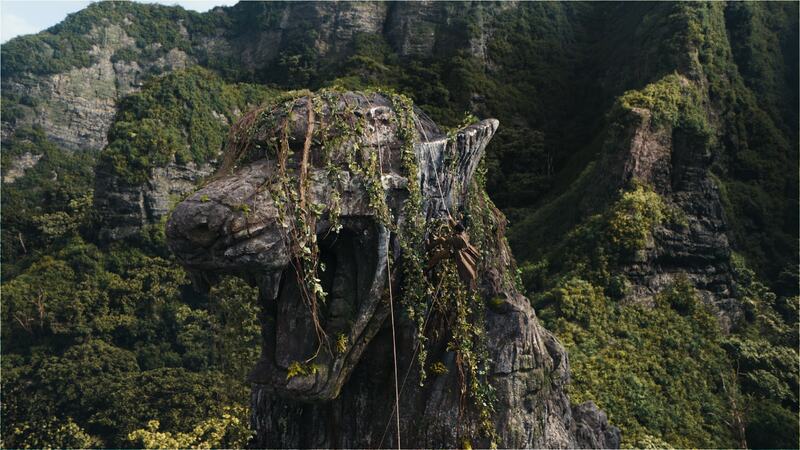 To create this scene, the head of the statue was built for Duane Johnson to climb, with a green screen background. A motocross bike stunt man was shot in California riding up a very steep hill. "I wanted to get the real motion of a rider, so we shot him and then rotoscoped him out and placed him in a full CG environment. At MPC we did a lidar scan of the mountain set, but that was tricky, as it was a late edition and there were about 40 shots that had to be made in just a few short weeks" recalls Chen. 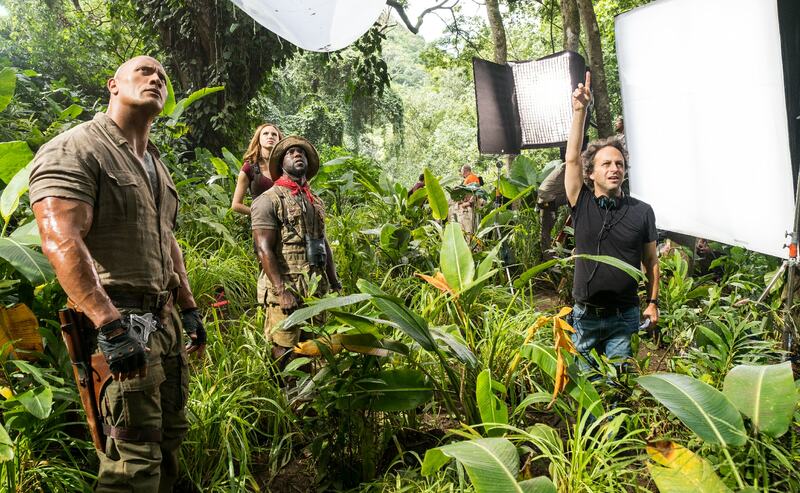 In addition to the animal and environment work, MPC’s FX team created the Jumanji curse effects shown at the beginning and end of the movie. This included transitioning Van Pelt from a human to a swarm of insects and varmint and the green energy effects surrounding the Jewel. Note: the drone to the right of the head. 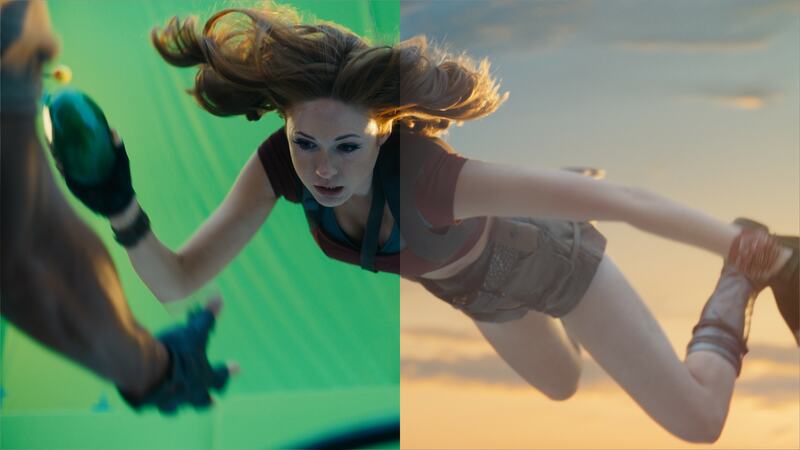 Rodeo VFX also worked extensively on the film. For example, for Jack Black's first death in the film, the actor was rigged on stunt wires which lifted him and flipped him backwards. This then transitioned into the digital double of the actor in the mouth of the hippo. Chen was keen to film this at the creek bed so the lighting was correct. Rodeo then removed the wires and animated the hippo while rotoscoping Black back on top of the CG. As with all the deaths, "the faster we did it the funnier it was", commented Chen. 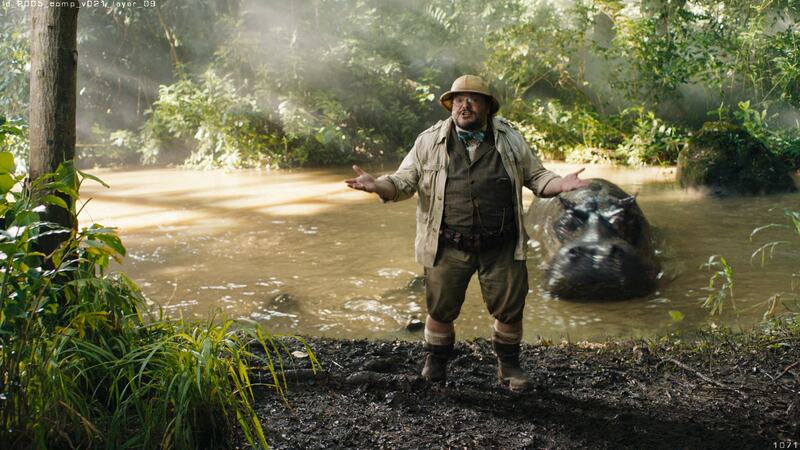 "The versions where the hippo is slowly chomping on Jack were much more hideous, so the faster it was in terms of whipping the character, the funnier it was even though if you were trying to do it completely realistically it would be breaking rules". The same was true for the falling to earth reset. Chen found dropping the characters into the world very quickly was just more comedic and in fairness the whole 'reality' is inside a video game so anything could be possible. Chen stopped short of using the 'video game' as a way out of difficult problems, preferring to make things look as real as possible to sell the drama, "for example, you couldn't take liberties with the helicopter sequence too much, even through you are in a game".